First off, if you listened to episode 34 of the podcast– I told you so. I thought it was odd that new versions of Sun/Moon, Gold/Silver coming to the 3DS eShop, and Pokkén Tournament DX coming over to the Switch with new features and fighters had it’s own reveal the week before E3. It immediately had me questioning the reasoning. The theory that was swirling through my head the most was that if Nintendo needed to announce these separately, they must have another Pokémon game to announce that they didn’t want overshadowing the others. I’m glad I was right. Okay, now that that’s out of the way. As a small part of Nintendo’s E3 presentation, or Spotlight as they’re calling it, we got a tease that a Pokémon RPG is in development for the Switch. There wasn’t much detail other than that it existed, but that in itself is tremendous news and a monumental deal– for Nintendo and fans. There have been Pokémon games on Nintendo’s home consoles in the past– Pokémon Stadium 1 & 2, Pokémon Colosseum, Pokémon Snap, and Pokémon Puzzle League to name a few– but we’ve never gotten the real deal. Sure, some of those games were great and enjoyable experiences but the closest we’ve ever been to Pokémon on a home console was plugging Red or Blue into a Super Gameboy on the SNES to catch ’em all. Fans have wanted a core Pokémon title on a home console since the series caught fire in the late 90s and it looks like soon– well at least sometime in the future– fans will be able to finally explore the world of Pokémon in a new way. Though it was barely a teaser, at least we have confirmation that it’s actually happening. Hopefully we won’t have to wait too long to see any portion of the game. Maybe a Pokémon Direct sometime in 2018? Here’s hoping! Until then, I’m sure the internet will be ablaze with hopes and rumor. Needless to say, Pokémon would be a perfect fit on Nintendo’s hybrid console allowing for docked adventuring as well as battling and trading on the go. Not to mention, I’m sure it’ll push the Switch into being one of the best selling Nintendo consoles of all time. 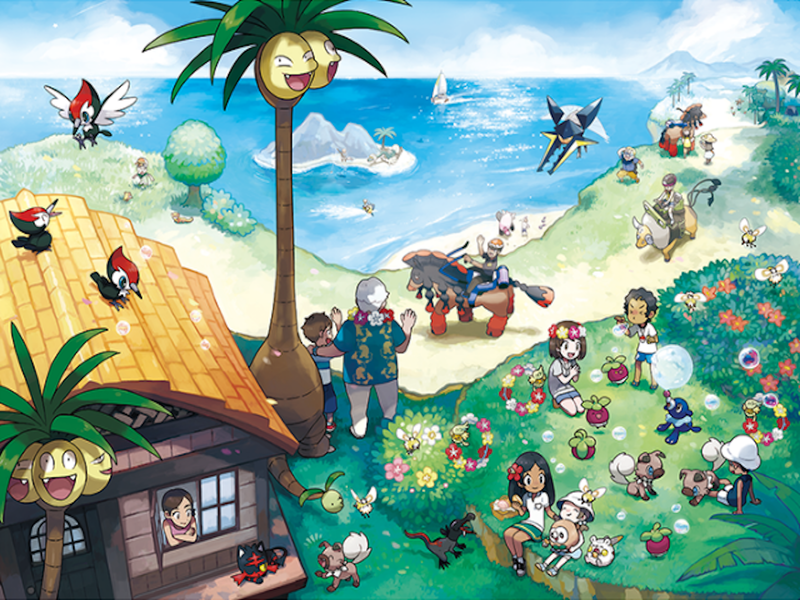 My prediction is that we won’t see this until the end of 2018 at the earliest and that this game won’t be set in the Alola region nor be another arc in the Sun and Moon series. I think we will get a brand new adventure with new monsters and a new locale. I’d expect tons of online features, including interaction directly with the 3DS games or at the very least connectivity with the Pokémon Bank. Not sure if they would go full online with servers and other trainers populating the game world, but I could see them having towns function as online hubs so other trainers can trade and battle. Regardless, whatever it is it’ll hopefully be a mind-blowing, memorable adventure. Oh, and I hope you can have your Pokémon follow you around.